So, here's the tumor that lives in my head. It is on my auditory nerve and although it has been growing for most of this millennium (if not longer) it was only discovered a couple of days ago. I'm so glad it has been discovered. 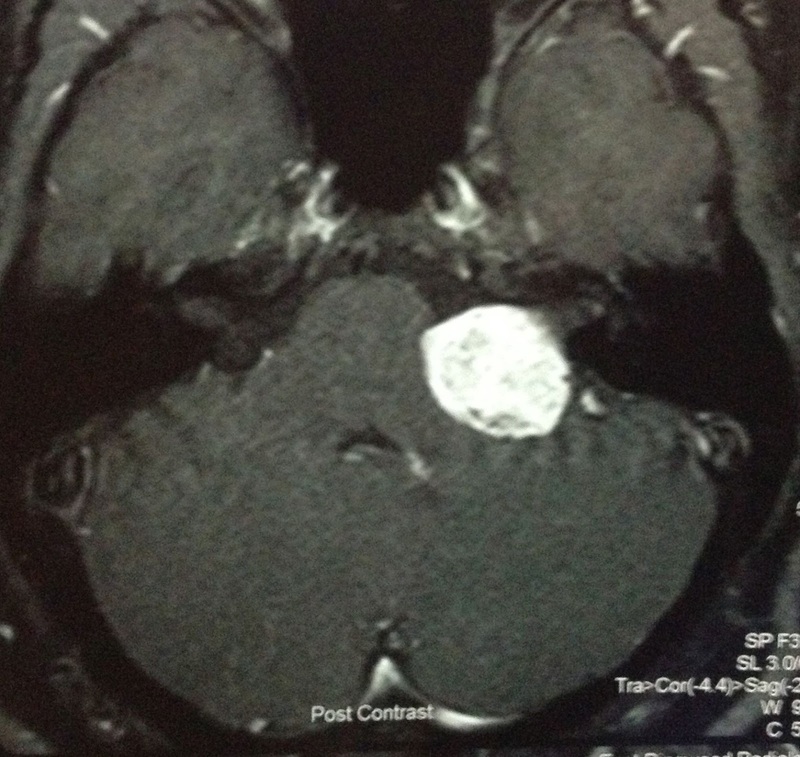 Undiscovered, an acoustic neuroma (resting on the brainstem, as you can see mine is) can be fatal. Once it comes out, my quality and length of life will increase. Nice! Wow, so glad it was found Dave. Did you have any symptoms? Prayers are with you as you go through treatment. Thanks Vicky. I have been blessed, indeed!